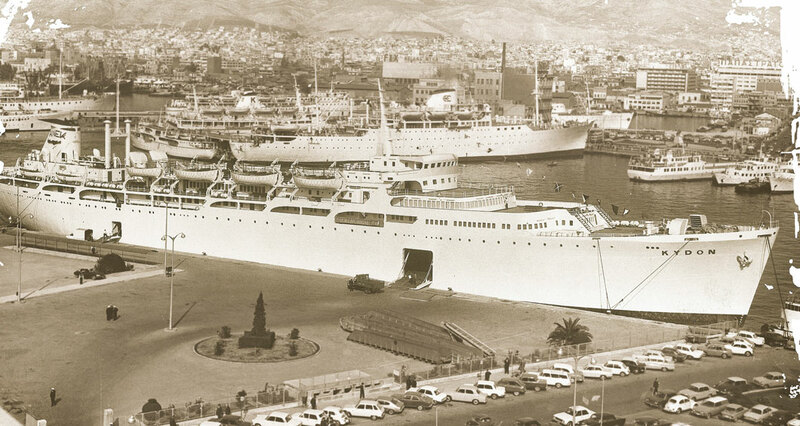 9 September 1970Ro-Pax “KYDON” sails into the port of Souda and ΑΝΕΚ wins over everyone’s trust. 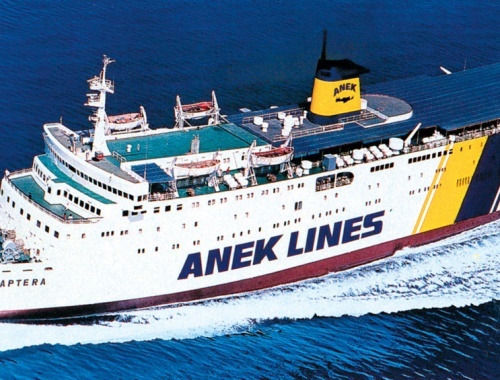 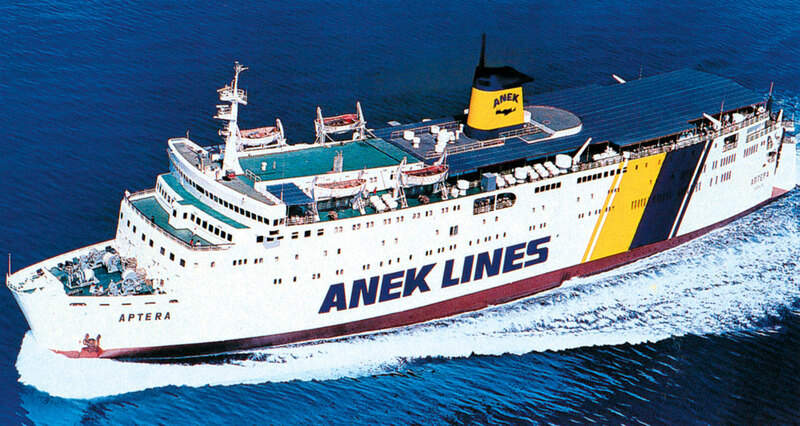 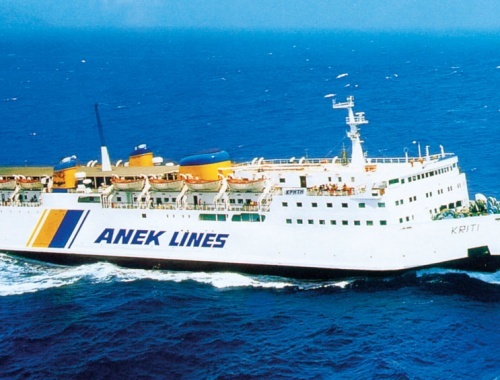 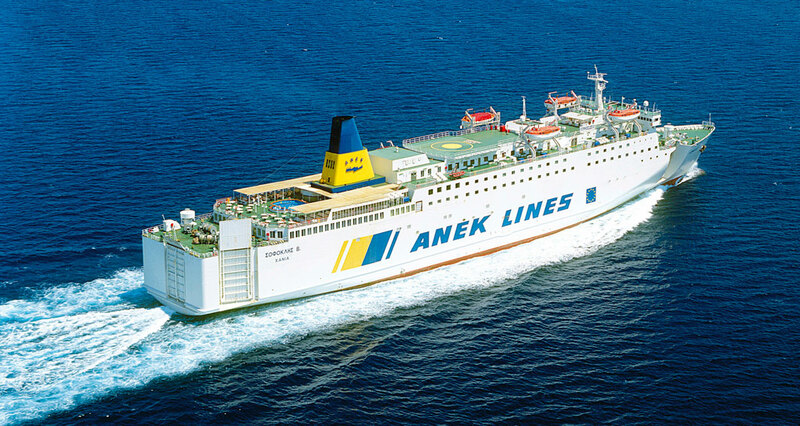 ANEK is growing dynamically and now serves the route Herakleion -Piraeus with Ro-Pax CANDIA and RETHIMNO. 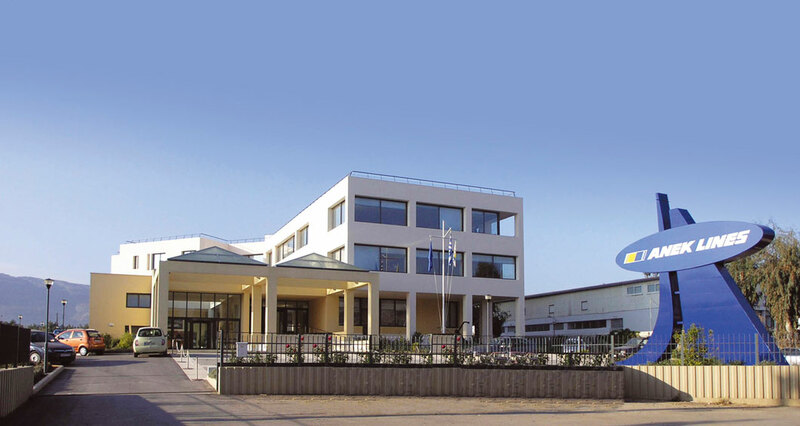 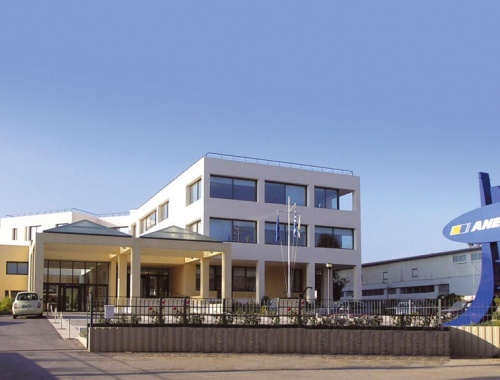 The Company acquires Ro-Pax CRETE. 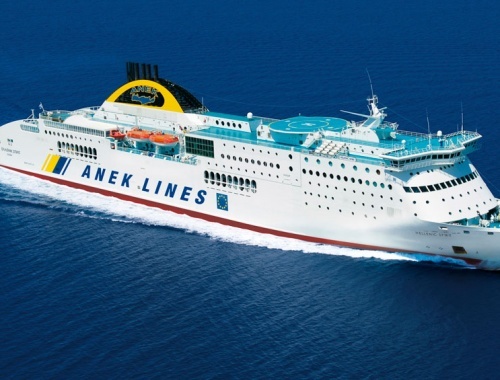 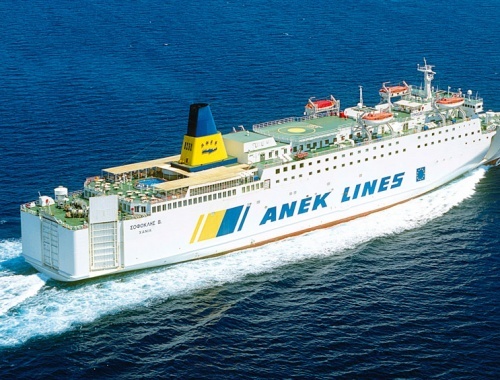 ANEK is now servicing its routes on daily basis, connecting the two main ports of Crete with Mainland Greece. 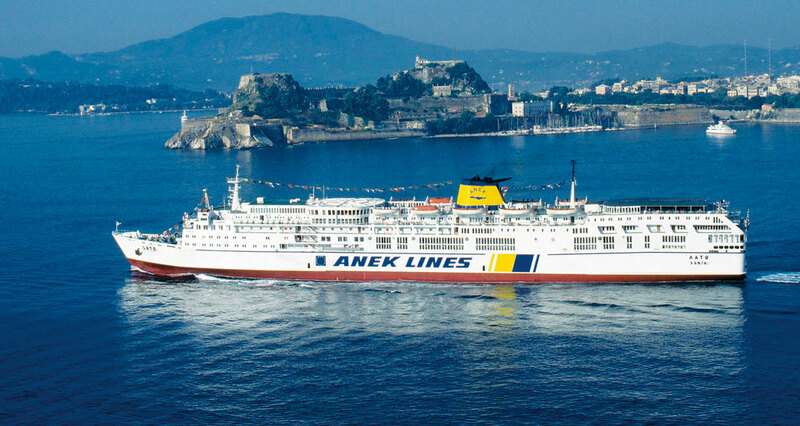 ΑΝΕΚ expands its fleet with a state-of-the-art vessel, Ro-Pax APTERA, serving the route from Chania to Piraeus. 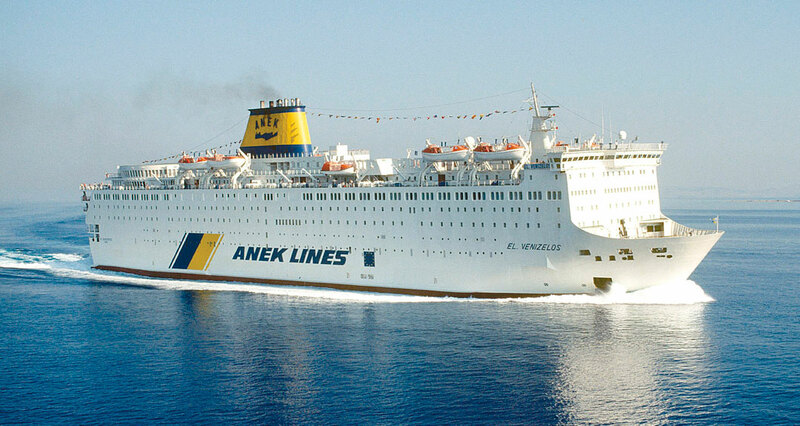 This is the first Greek ship with an escalator and a car deck that can accommodate 70 trucks and 150 cars. 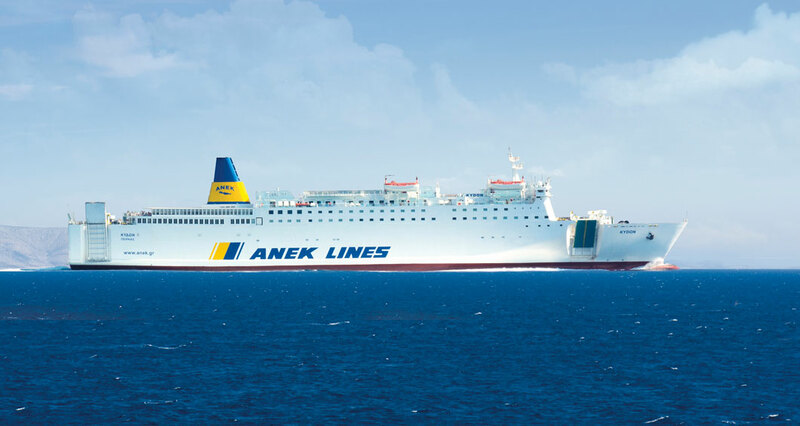 Ro-Pax LISSOS and LATO are dynamically launched into the Adriatic Sea, opening new perspectives in the Patras-Ancona route. 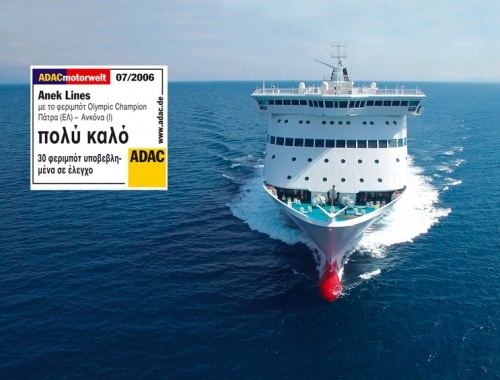 Ro-Pax El. 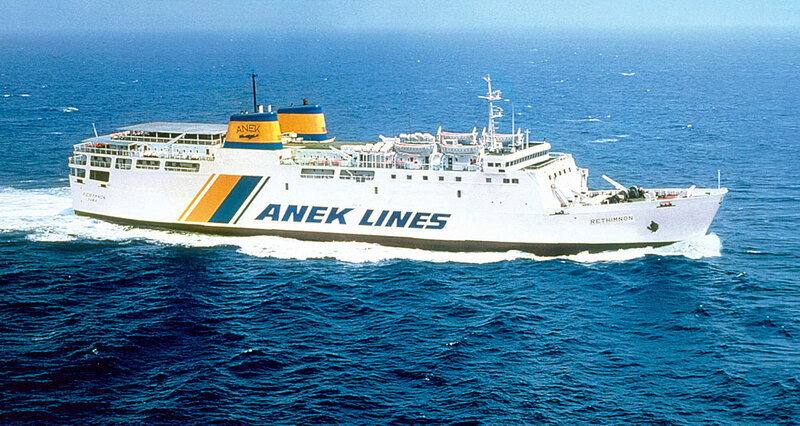 VENIZELOS is introduced to the Northern Italy routes. 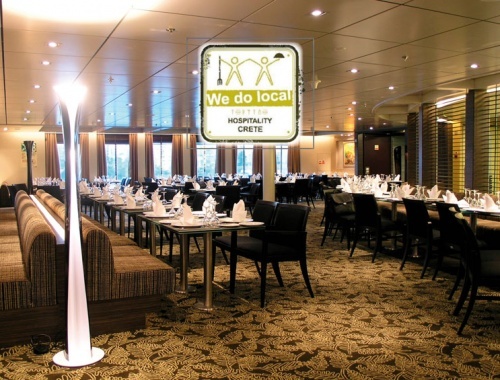 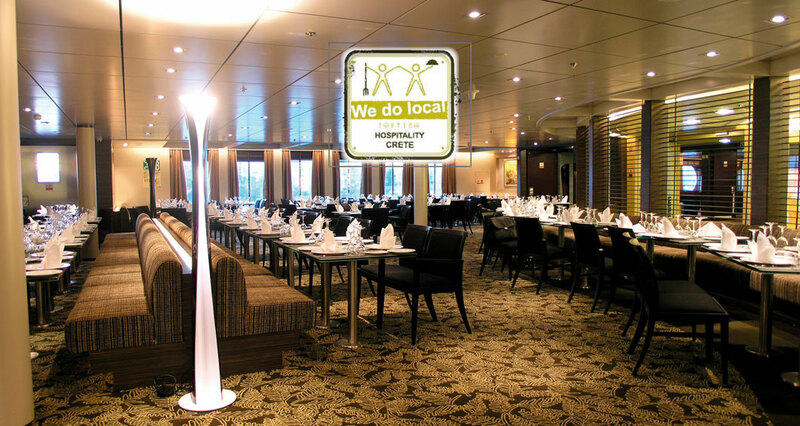 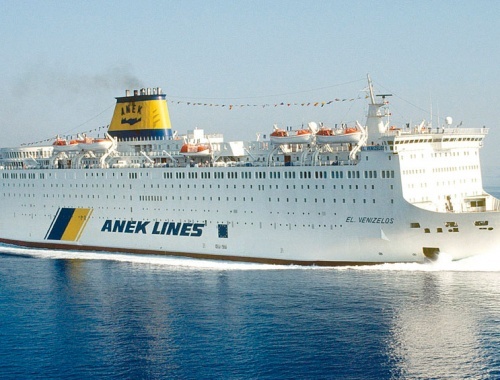 This is ANEK’s flagship, the largest and most luxurious ship in the Mediterranean. 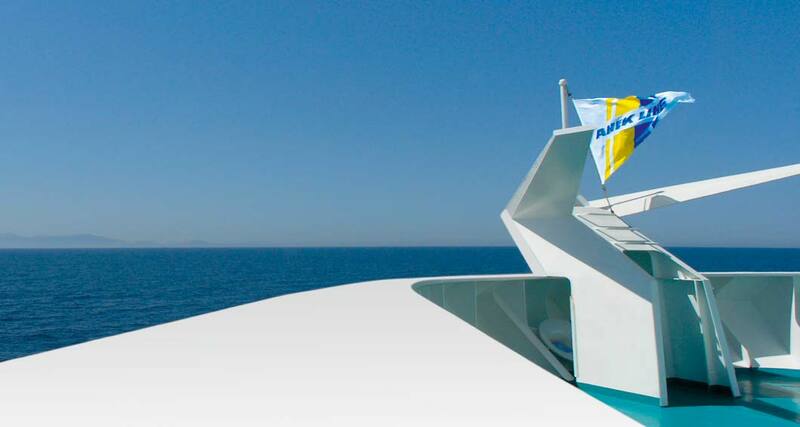 Ro-Pax TALOS is joining her in the same route. 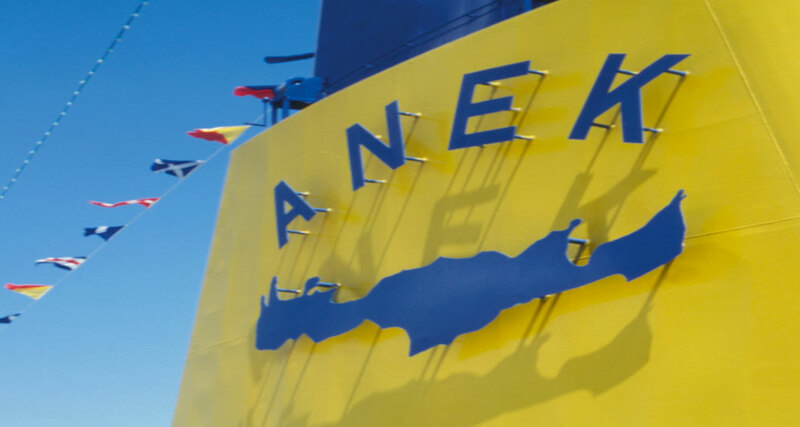 ΑΝΕΚ sets a new course with the acquisition of new ships and the initial public offering (IPO) for its stocks in Athens Stock Exchange. 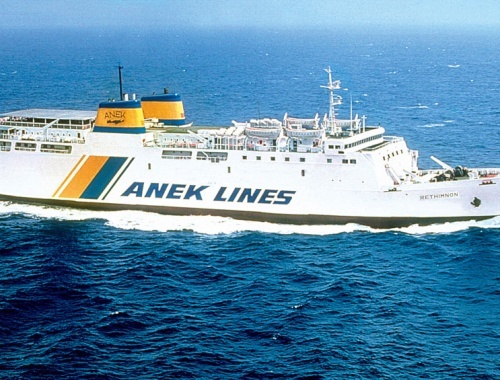 Ro-Pax SOFOKLIS VENIZELOS is introduced in the Northern Italy service. 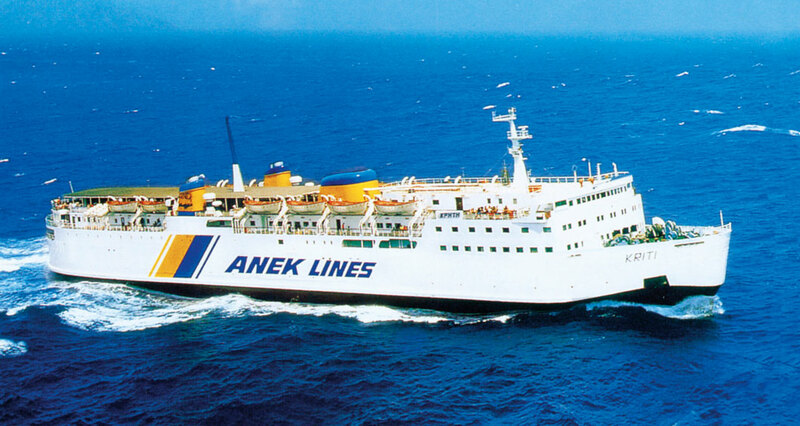 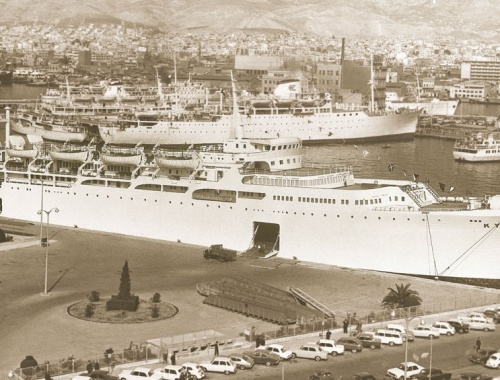 Ro-Pax PREVELI and ARKADI are introduced in ANEK’s fleet following the merger with RETHYMNIAKI. 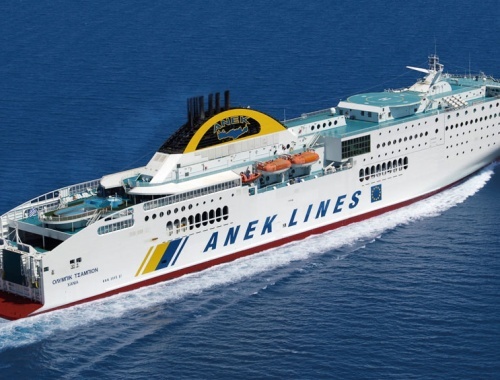 Ro-Pax LEFKA ORI is introduced in the Northern Italy service, and the newly-built HSF OLYMPIC CHAMPION in Patras – Ancona service. 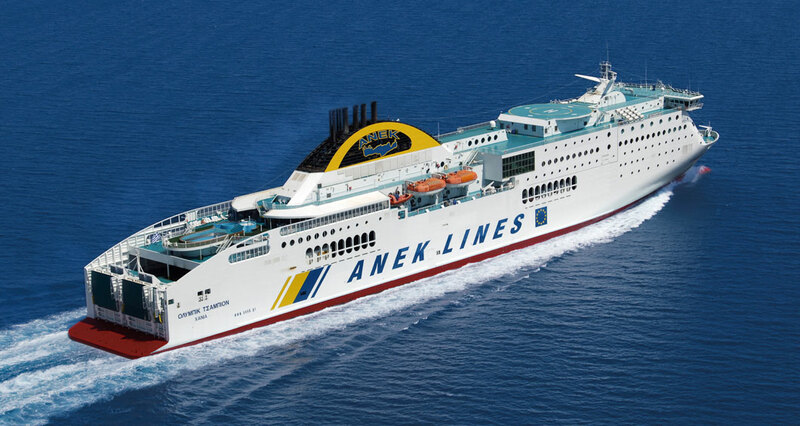 The second newly build HSF HELLENIC SPIRIT is introduced in the Northern Italy service. 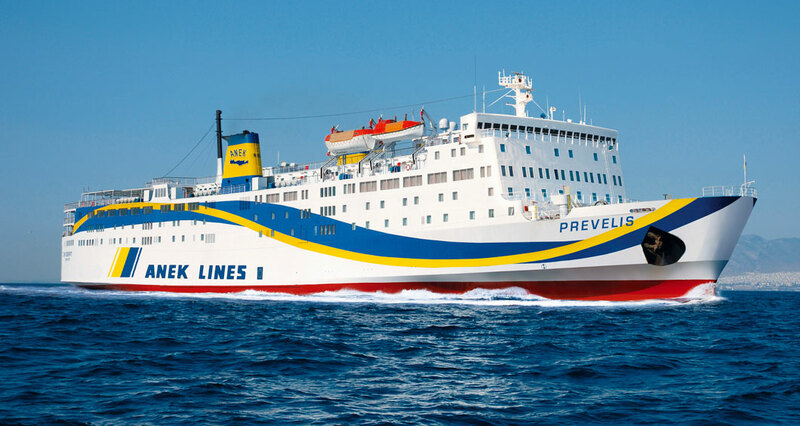 The Northern Italy service grows further with the new Patras to Venice route. 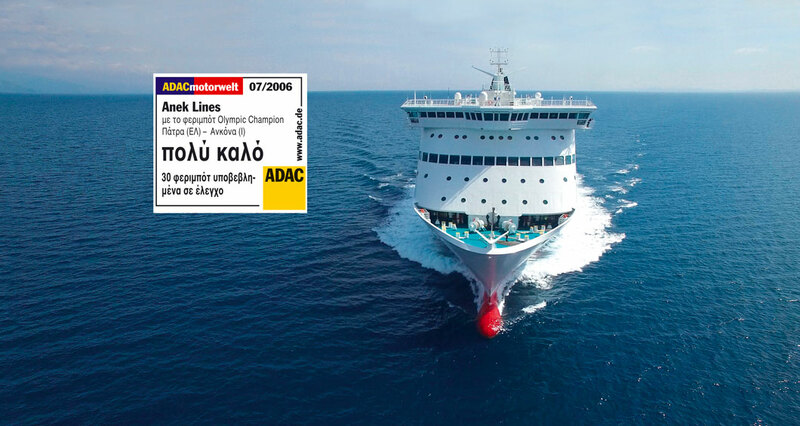 ADAC, the German Automobile Club, awards HSF OLYMPIC CHAMPION, with the first European award for Best Ro-Pax Vessel, thus verifying that the ship meets the international safety standards as to technical equipment and fully trained crew. 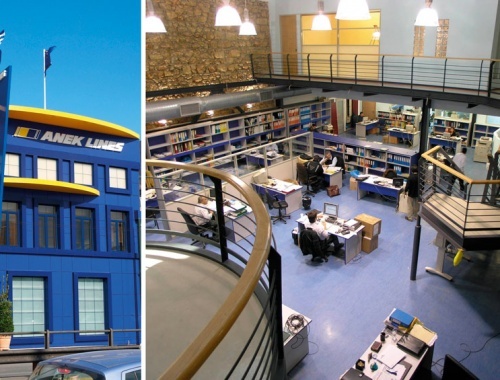 Opening of the company’s new state-of-the-art office building in Piraeus, that houses the Commercial Operations Division, the Technical Operations Division and the Central Reservations Department in Piraeus. 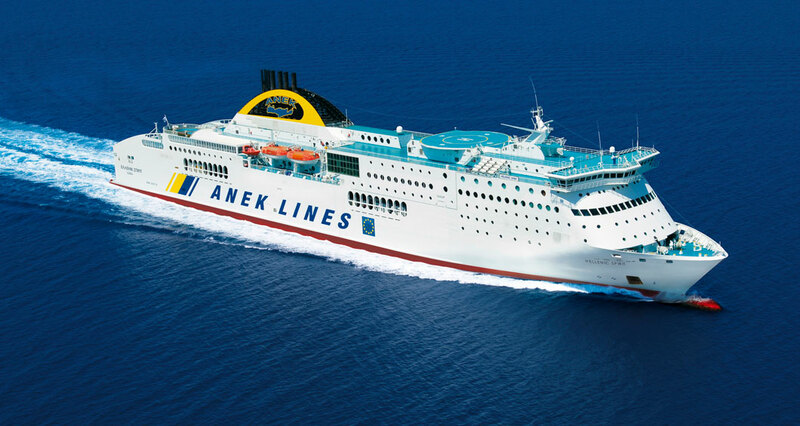 In April, Ro-Pax PREVELI is introduced in Piraeus-Paros-Naxos-Ios-Santorini route. 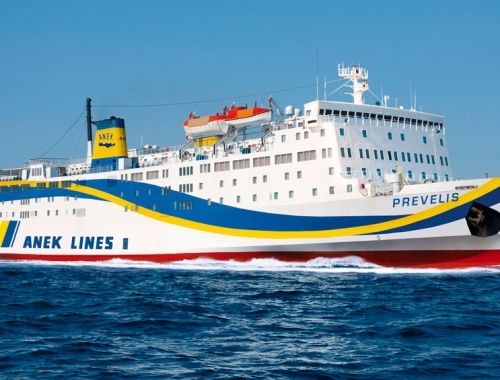 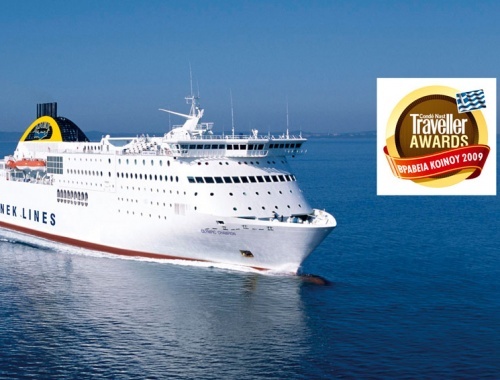 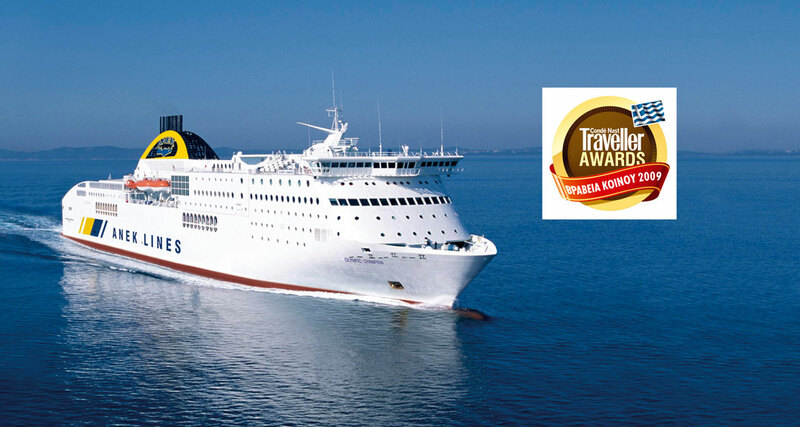 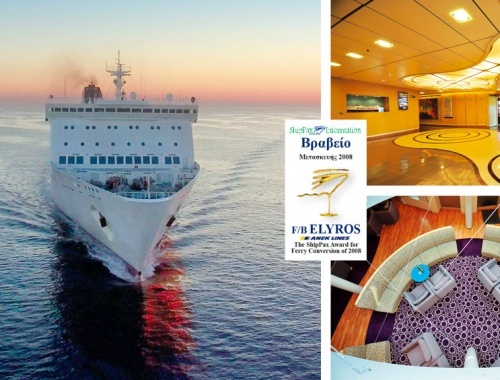 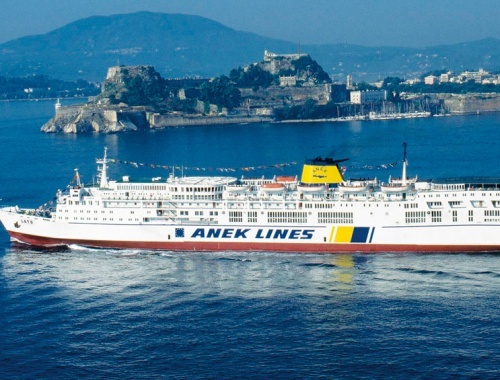 ΑΝΕΚ wins the “ShipPax Award for Ferry Conversion for Ro-Pax ELIROS. 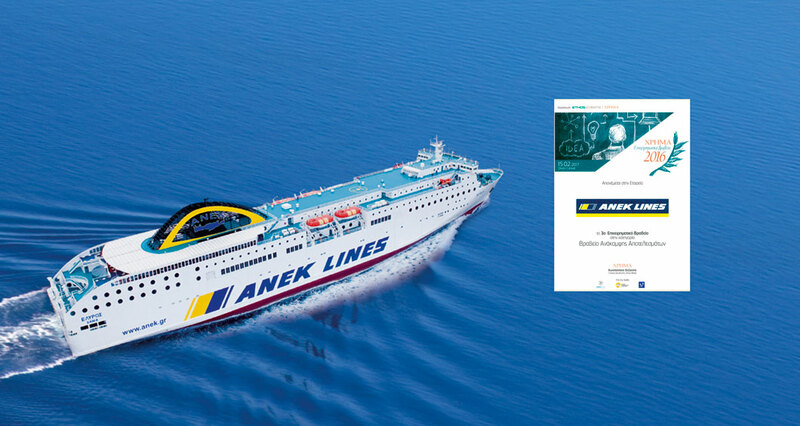 2011 - ANEK LINES - ATTICA Group Joint Venture. 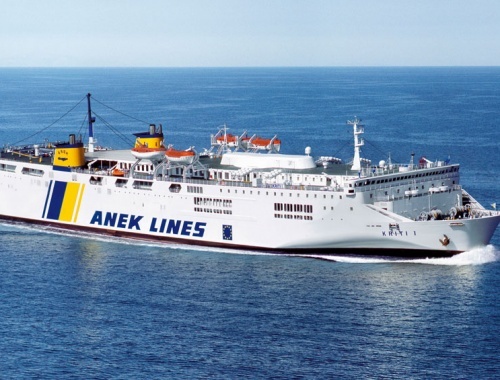 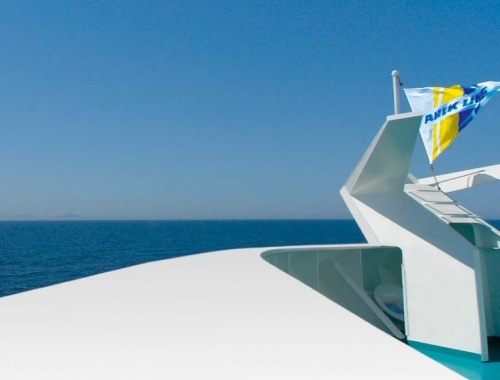 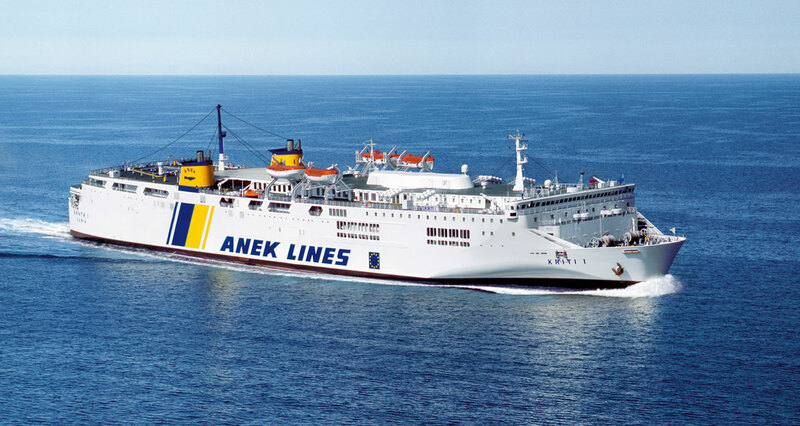 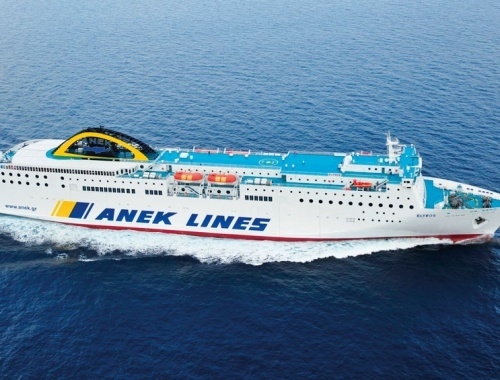 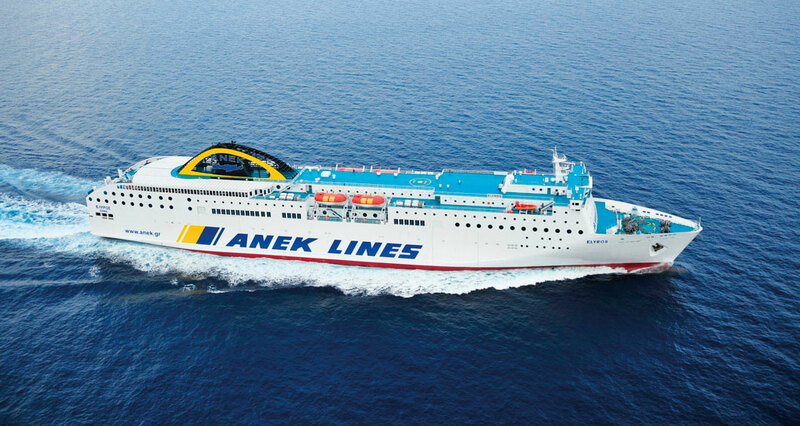 Launch of ANEK LINES - ATTICA Group Joint Venture with combined service on the Adriatic (Patras – Igoumenitsa - Ancona) and Piraeus to Heraklion service. 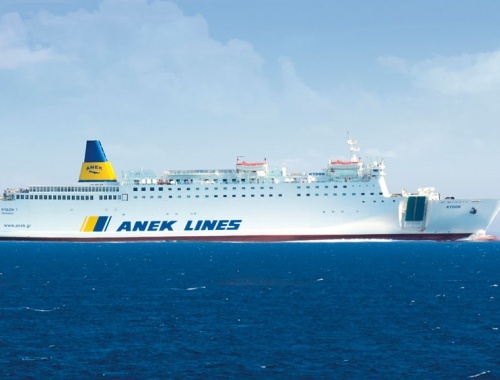 The company transfers more than 13,000 Chinese citizens from the Libyan war zone to Crete. 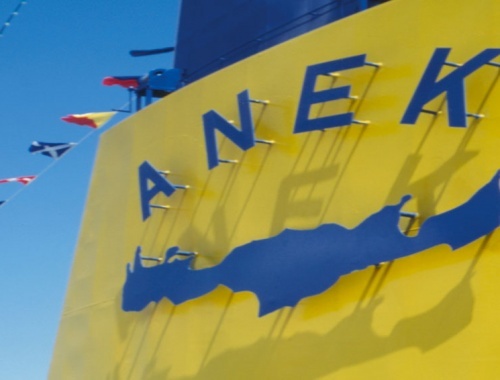 ANEK receives the “China-Greece Friendship Award” by the Embassy of the People’s Republic of China in Greece and the Chinese People's Association for Friendship with Foreign Countries. 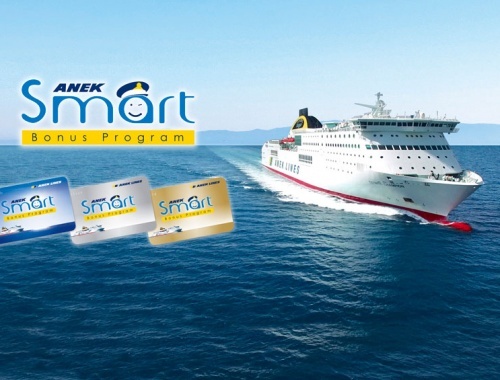 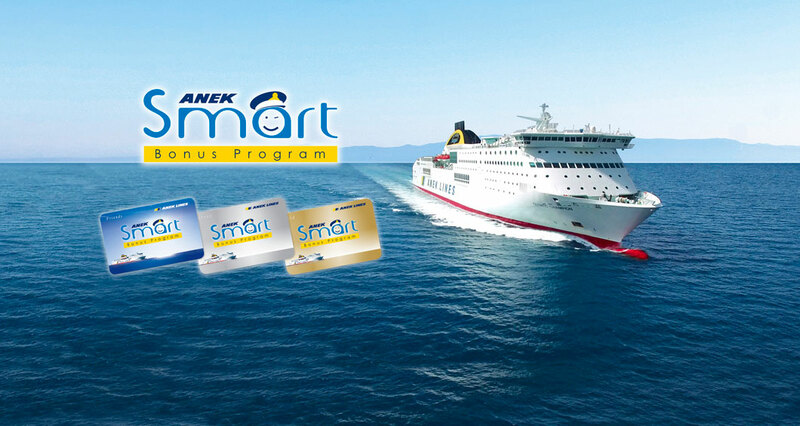 Launch of ANEK Smart Bonus Program, an innovative passenger loyalty scheme, offering discounts, free tickets and exclusive privileges to its Members. 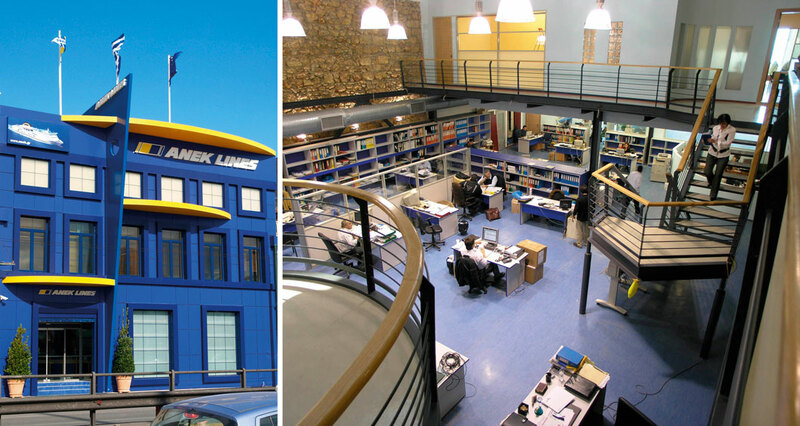 The company receives the “We Do Local” award for Ro-Pax CRETE Ι and ELIROS. 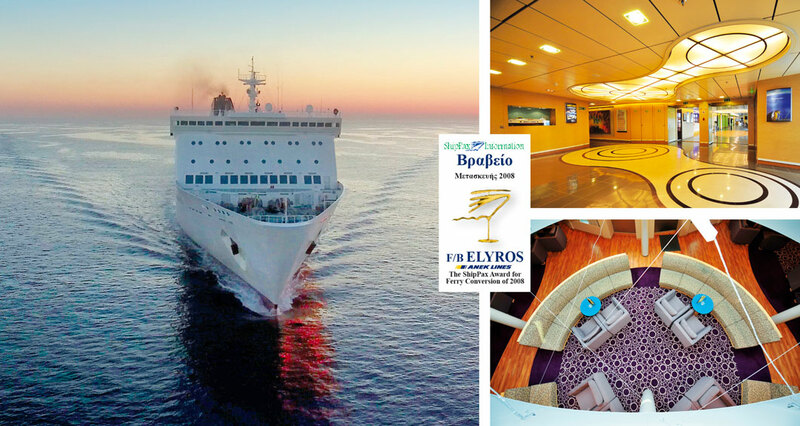 Ro-Pax KYDON is fully renovated and servicing routes to and from Crete. 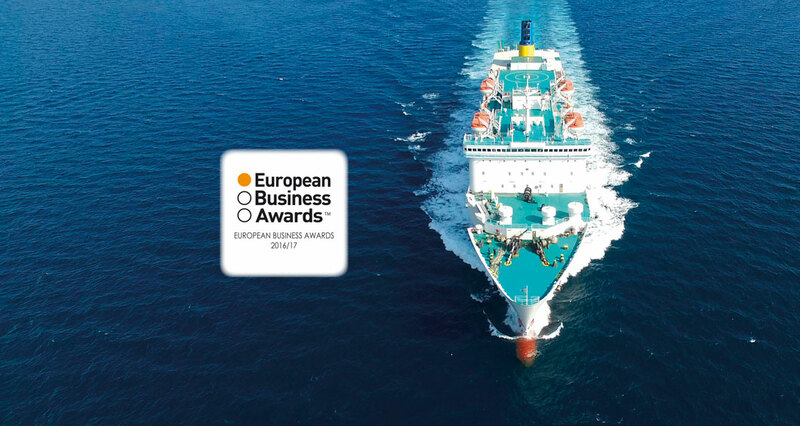 Another important distinction for ΑΝΕΚ, selected as the “National Champion” in 2016/17 European Business Awards among 33,000 companies from 34 European countries. 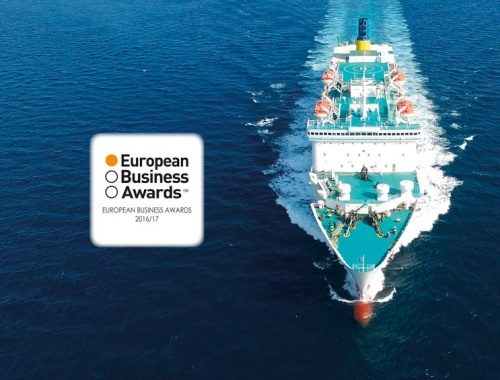 2017 - Financial Results Recovery Prize. 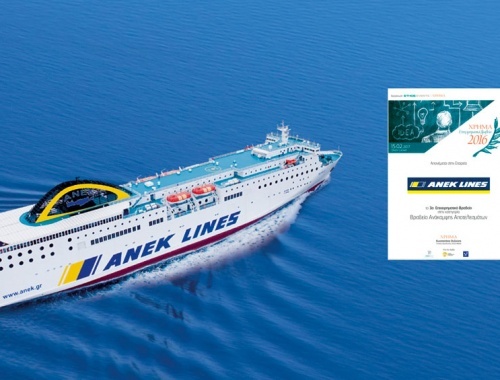 ANEK wins 3rd Prize for Financial Results Recovery organized by Ethos Media S.A. and HRIMA investments and economics magazine.